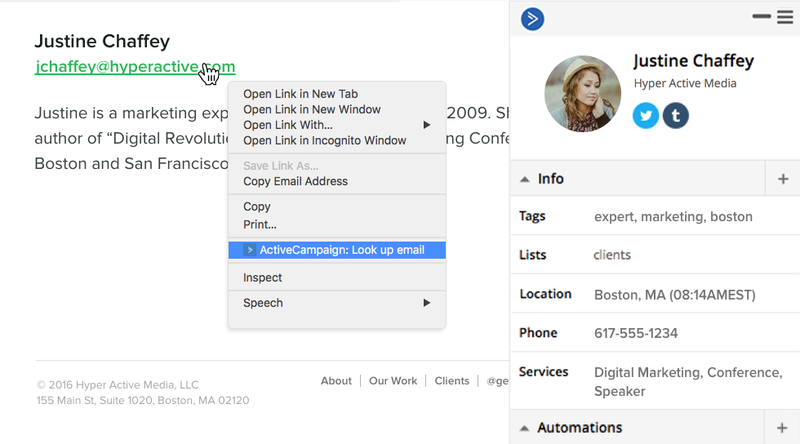 Create contacts and manage deals from any page + a deep Gmail experience. 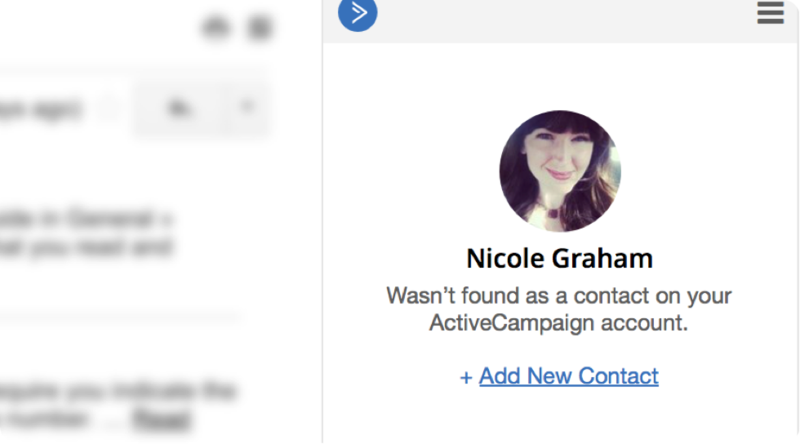 View all your contact information right on the screen inside Gmail. 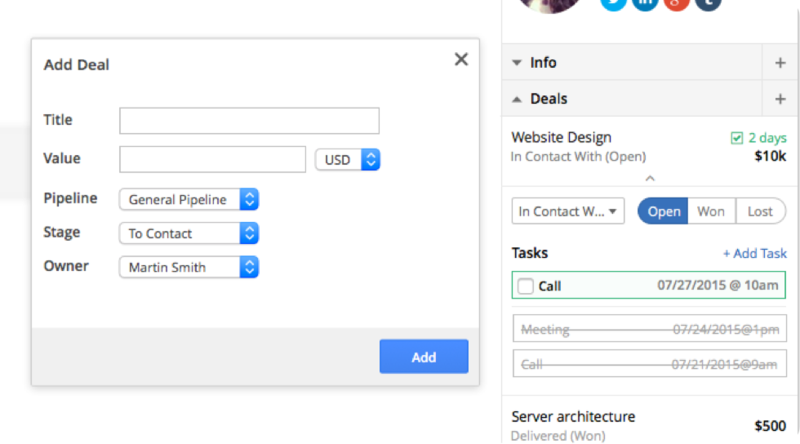 Create new custom fields and manage existing contact information. If your email contact isn’t detected in your account you can easily add them with a single click. Select an email address anywhere on the internet to display a contact's information. Create a new contact instantly or manage an existing contact. 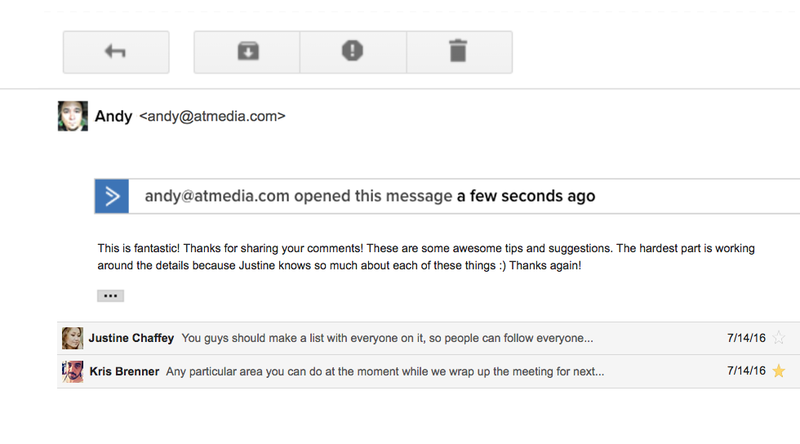 Email open tracking let's you know whether your email has been opened yet. If they read it, you'll know exactly when. 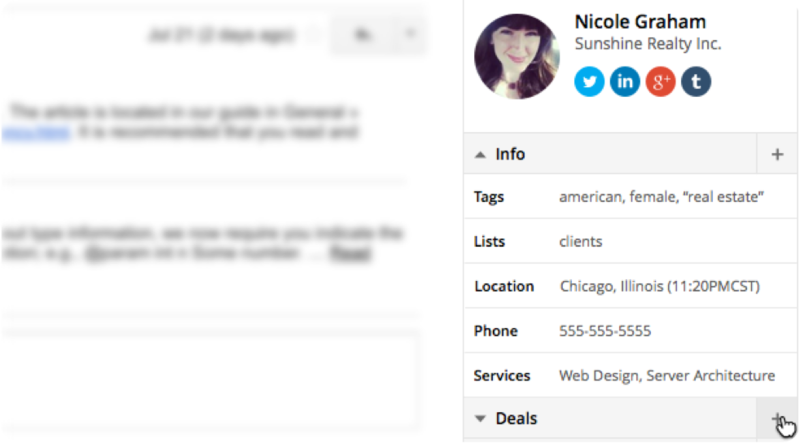 Manage all your contact deals right in your Gmail account. Quickly create a deal on the fly by clicking the ‘+” button in the title bar. 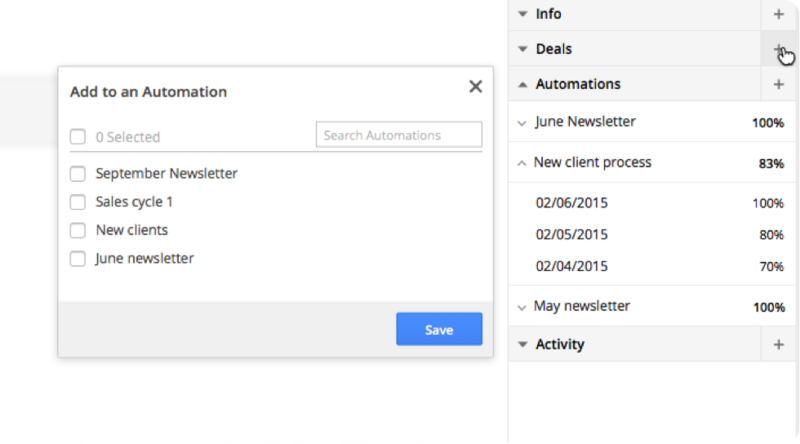 See which automations your contact has been run through and add to new automations.